WE ARE PROUD TO PRESENT HIGHLIGHTS AND RESULTS FROM 2016, another banner year for business solutions to poverty. Working together with strategic private and public partners, TechnoServe helped our clients generate $196 million in new revenue and wages last year. Approximately 3 million people benefited from this increase in economic activity – extra money that provides families with necessities such as food, education and housing in the short term. In the long term, our market-based approach is creating systemic change that will continue to deliver benefits far into the future. In 2016, as the global community adopted the sustainable development goals, we sought to verify the sustainability of our impact. We re-examined our measurement system, commissioned randomized control trials and other external evaluations, and investigated whether the benefits for farmers and entrepreneurs continue after our projects end. Our Annual Report demonstrates how TechnoServe projects around the world are taking an integrated approach to deliver lasting impact, improving the lives of individuals, families and communities. TechnoServe’s approach starts with an in-depth assessment to identify sectors where smallholder farmers and local entrepreneurs have the potential to greatly increase their earnings – from livestock production in Central America to cashew processing in West Africa. We then identify market failures, inefficiencies and opportunities across a market system. We leverage knowledge and experience from similar market interventions and adapt them to the local context. Critically, we act as a catalyst at multiple points in the market, working with stakeholders including smallholder farmers, local businesses, governments, financial institutions and private sector players to incentivize inclusive market growth. We focus on catalyzing markets and market systems whose participants have the ability to improve competitiveness and performance over time. While many of our projects deliver services directly, a growing number of initiatives focus on facilitating local market actors – from government agencies to businesses along the supply chain—to deliver ongoing training, services and technical advice. Our role is to help build the skills of local service providers and connect them with farmers and entrepreneurs who need their services. 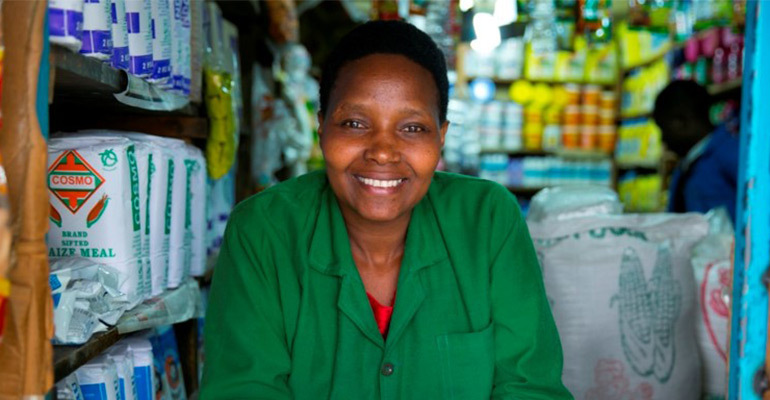 These relationships strengthen market systems to deliver inclusive financial benefits long after TechnoServe leaves. TechnoServe’s projects use proven adult learning techniques to help farmers and entrepreneurs build critical skills and adopt tailored best practices in agronomy and business management. The market linkages we facilitate provide economic incentives for smallholders – like our project participants in rural India learning climate-smart agriculture – to continue using these practices in order to increase their yields and maintain quality levels that garner higher prices. For decades, TechnoServe has been a leader in leveraging corporate partnerships to create shared value. Our mission is built on a proven principle: aligning business incentives with local development needs is one of the most effective ways to ensure scalable, long-term change. In 2016, one of our projects – a partnership with The Coca-Cola Company and the Bill & Melinda Gates Foundation – was named winner of the U.S. Department of State’s P3 Impact Award, which recognizes the world's most innovative and impactful public-private partnerships. The project strengthened Coca-Cola’s local supply chain in East Africa while helping local fruit farmers increase their incomes and secure a stable market for their fruit. TechnoServe is proud to design and help implement similar win-win solutions with many of the world’s leading corporations, including Nespresso, Walmart, Kellogg, Danone and Syngenta. The systemic, sustainable change that is needed to drive down poverty cannot be achieved by any single actor. TechnoServe is grateful for the strong and varied partnerships – with funders, businesses, governments, farmers, entrepreneurs, local market actors and our supporters – at the heart of our impact. Together, we have been building lasting solutions to poverty for nearly 50 years. We look forward to working with you in 2017 and beyond to scale these solutions and transform millions more lives around the world and across future generations. In 2016, TechnoServe helped transform millions of lives through business solutions designed to deliver lasting impact. We measure the increased revenue for individuals and enterprises, or increased wages for employees, generated as a result of TechnoServe’s work. We track the number of women, men and businesses who generated increased revenue and wages attributable to our work. We track the proportion of female beneficiaries, including female farmers and women-led businesses, in each project. We measure the amount of loans and equity provided to farmers and businesses by the private sector with TechnoServe’s facilitation. This serves as one indication of long-term growth. We work in 29 countries in five regions around the world, designing and implementing projects that improve people's livelihoods. Explore our regional impact for our four key indicators. Explore TechnoServe’s impact at the country and project level in our interactive Results Portal. See how we catalyze lasting transformation across different projects, markets and industries. A partnership between TechnoServe, The Coca-Cola Company, and the Bill & Melinda Gates Foundation, Project Nurture helped more than 50,000 fruit farmers in East Africa increase their incomes by an average of 142 percent and won the prestigious P3 Impact Award in 2016. Here are some of TechnoServe’s proudest moments from 2016. Click and drag the green bar to explore the year. The Harvard Business Review published a case study about our Haiti Hope Project, exploring how TechnoServe’s business approach achieved impact in an environment dominated by international aid. 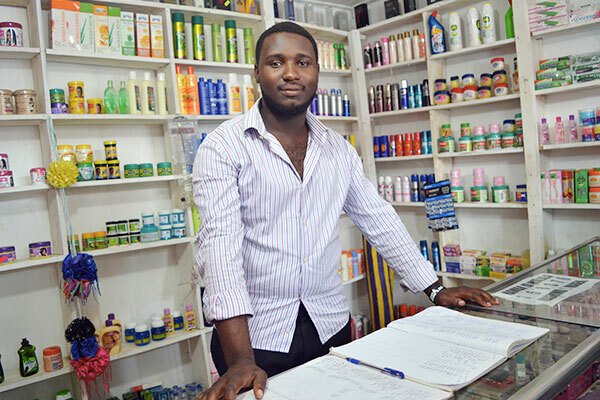 The Smart Duka initiative launched in Kenya, seeking to boost incomes in Nairobi’s informal settlements by providing business training to local shopkeepers. In honor of International Women’s Day, TechnoServe ran an integrated #SheFightsPoverty campaign, including a peer-to-peer fundraiser. TechnoServe’s Innovations in Outcome Measurement (IOM) initiative convened 40 scientists, researchers and development professionals in Washington, D.C., to identify a set of measurement innovations capable of transforming agriculture, such as satellite and drone imagery, which the initiative will evaluate through pilot interventions. 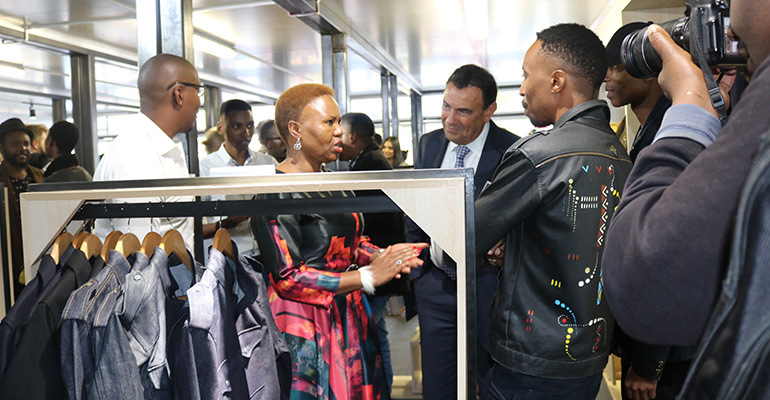 A U.S. Congressional delegation visits the Box Shop, a business incubator in Soweto which is part of an effort with the Citi Foundation to revitalize entrepreneurship in South Africa. The Huila Central Wet Mill, funded by Nespresso and Acumen Fund, began operations in El Gigante, Colombia. The mill will help approximately 350 coffee-farming families improve their processing. Project Nurture receives the P3 Impact Award, recognizing collaborative excellence in a cross-sector partnership. The global healthcare company Abbott received the Porter Prize in the category Creating Shared Value for a TechnoServe-implemented dairy project in India. TechnoServe partnered with the Bill & Melinda Gates Foundation to empower women farmers in Bihar, India. 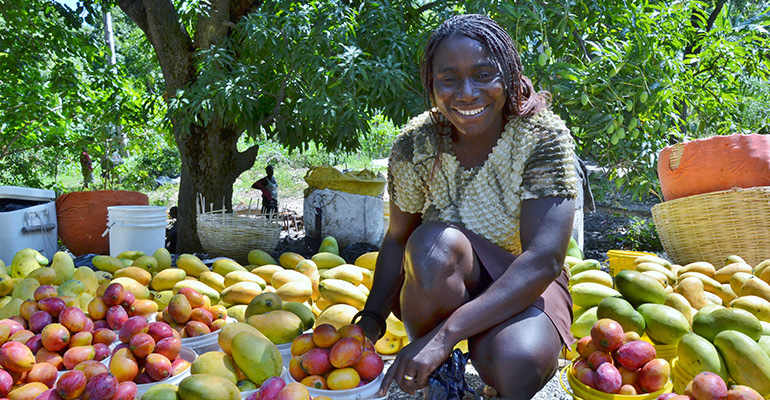 The Ford Foundation and TechnoServe published the first of four case studies exploring our work to develop inclusive business models that can benefit smallholder farmers in the supply chains of multinational corporations. 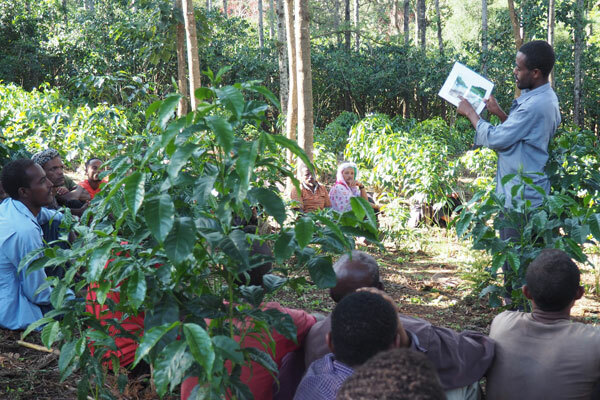 The Coffee Initiative's final report examined the coffee value chain in East Africa and the project's work to improve the lives of 268,000 coffee farmers in the region and crowd in $25 million in new corporate investment. 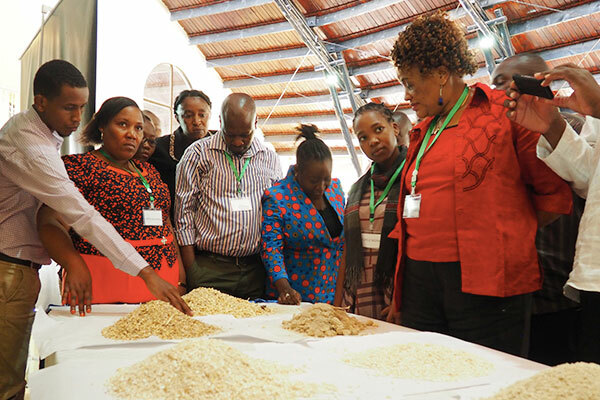 TechnoServe and Partners in Food Solutions teamed up to launch SAPFF, a four-year collaboration to fight micronutrient deficiency by strengthening food processors’ capacity for food fortification in Nigeria, Kenya and Tanzania. TechnoServe's Fellows Program (formerly the Volunteer Consultant Program) celebrated its 20th anniversary. 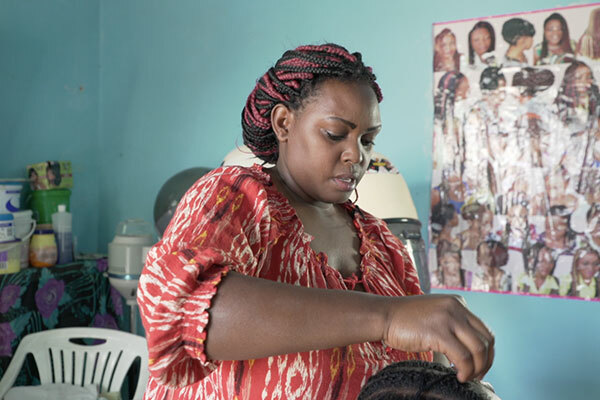 In Tanzania, 900 women entrepreneurs graduated from Business Women Connect, a partnership between TechnoServe and ExxonMobil Foundation. Forbes featured TechnoServe in its 12 Days of Charitable Giving series. TechnoServe works with enterprising men and women in the developing world to build competitive farms, businesses and industries. Learn more about TechnoServe’s approach and meet the leaders and supporters who makes this work possible. TechnoServe's financial information reflects our commitment to accountability, transparency and efficiency. For the 11th consecutive year, TechnoServe has earned a 4-star rating from Charity Navigator, America’s largest independent evaluator of charities, placing TechnoServe in the top 1 percent of all rated charities. 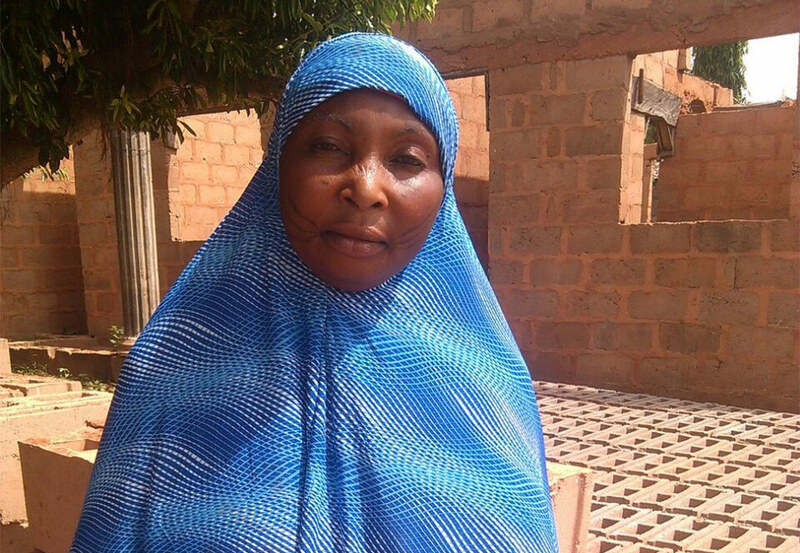 Aishat Achimi used income from her cashew farm in Kogi, Nigeria, to build a house. TechnoServe is working with public and private partners across West Africa to transform the cashew industry from tree to trade, providing opportunities for farmers, entrepreneurs, processors and other stakeholders to prosper. Creating a competitive, inclusive and sustainable cashew industry begins on the farm. In Nigeria, TechnoServe partnered with the Walmart Foundation to help raise the incomes of more than 10,000 smallholder cashew farmers through training in good agronomic practices and improved access to markets. In a country where only 15 percent of cashew farmers are women, the project focused heavily on increasing women’s engagement, by working with community leaders to encourage women to join, among other tactics. These efforts resulted in a high female participation rate of 42 percent. “Cashew has turned my life around and TechnoServe has made my dream come true,” says Aishat Achimi, who was surprised by the difference pruning and other best practices made on her neglected cashew farm, which she had inherited when her father died. After consolidating her bountiful harvest with other farmers in her cooperative, Aishat was able to earn enough extra income to buy the materials to build a new house, fulfilling a long-time dream. By adopting improved practices and selling their cashews at higher prices through cooperatives, farmers participating in the three-year program, which closed in November 2016, increased their incomes by an average of 43 percent, or $164 per year. In Benin, TechnoServe is working to strengthen and expand the entire cashew sector into an inclusive economic growth engine for the country. 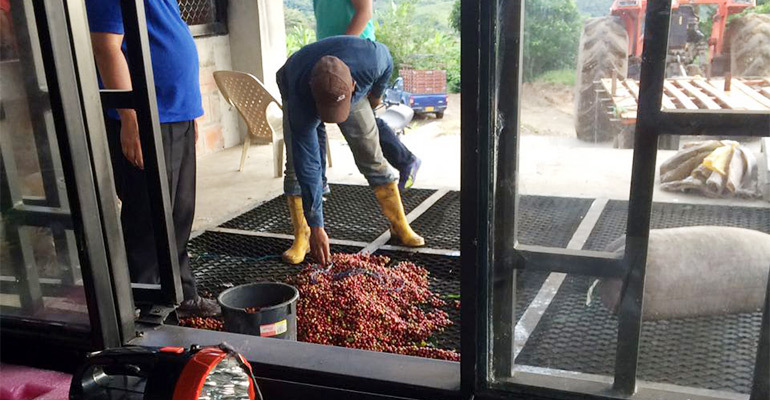 A comprehensive five-year value chain project, BeninCajù works with both producers and processors, as well as a constellation of market players surrounding them. 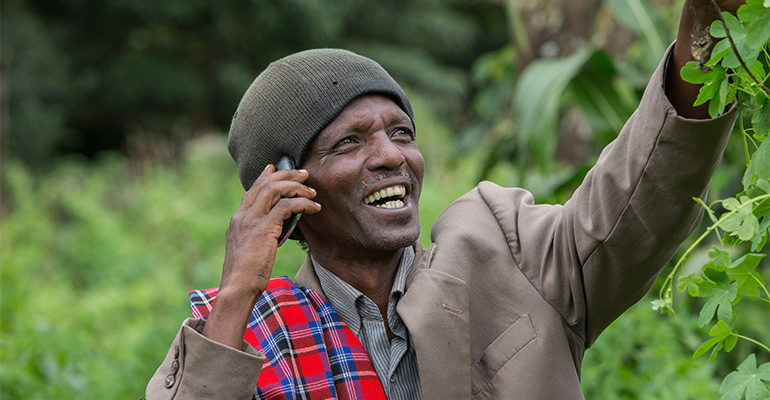 TechnoServe is supporting processors every step of the way – from planning and constructing factories to accessing finance and connecting with international buyers – in order to triple the nation’s domestic processing capacity, ensure a stable market for smallholder farmers, and create 3,400 new jobs. As in Nigeria, BeninCajù prioritizes women’s participation at every level, targeting 70 percent of the new jobs for women. 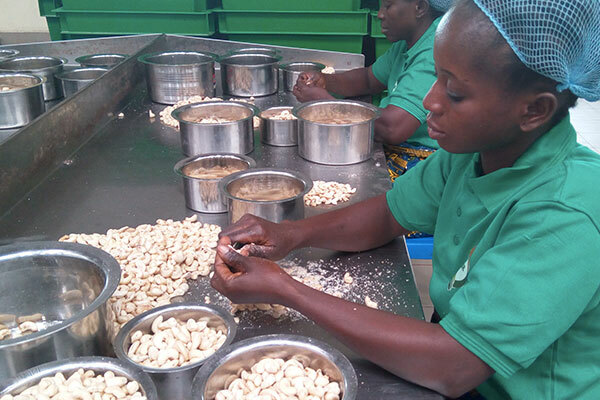 In early 2016, BeninCajù supported the launch of Fludor Benin, a state-of-the-art factory with a processing capacity of 15,000 metric tons of cashew. Women employees fill nearly 600 of the processing facility’s 700 new positions. In 2017, BeninCajù is expanding the industry further by focusing on a new market opportunity – cashew fruit juice. Utilizing the nutritious but overlooked cashew apple, the vast majority of which is discarded on the farm, the project is working with processors to produce and commercialize cashew juice under the label Sweet Benin. This new product has enormous potential for long-term financial gains for farmers and businesses, demonstrating how an entire sector can be harnessed as an engine of growth and positive change. 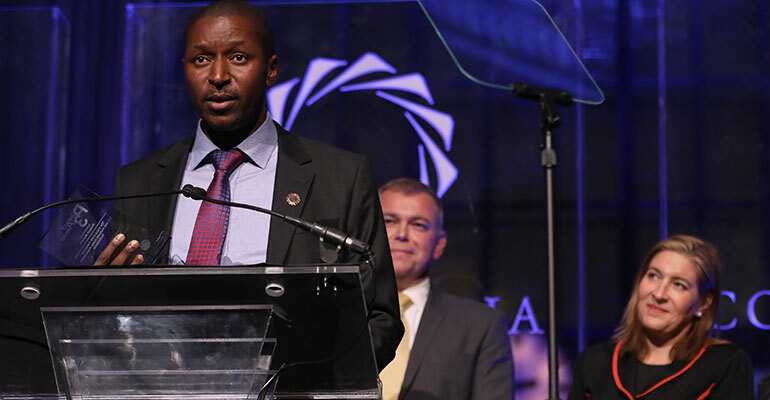 John Mwangi has boosted his coffee yields using sustainable practices. 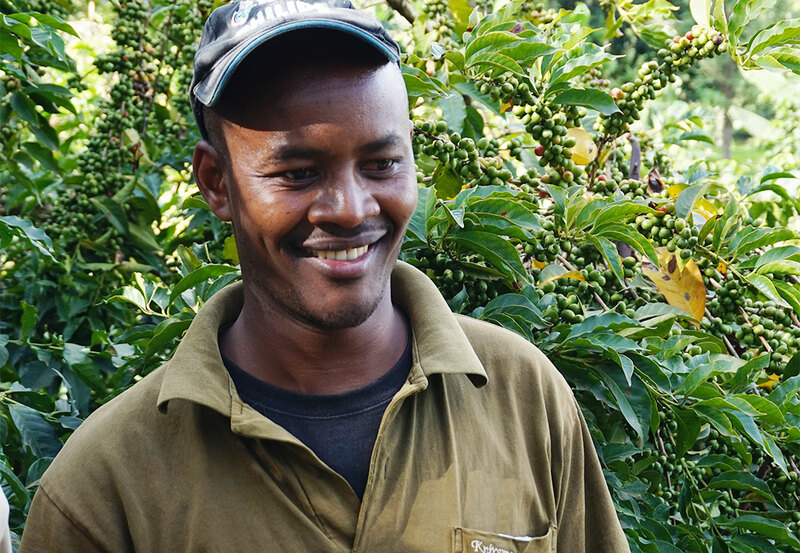 On his coffee farm in rural Kenya, John Karuga Mwangi lays down mulch, makes his own compost, and uses integrated pest management to protect his coffee. But just a few years ago, when he took over the farm after being unable to find steady work in Nairobi, he didn’t know how to use these techniques – or much else about growing coffee. John learned these skills through the AAA Quality Program, which Nespresso and TechnoServe brought to Kenya and Ethiopia in 2014. The program’s goal is to improve the quality, volume and sustainability of the coffee produced by local farmers, allowing them to earn higher prices from premium buyers like Nespresso. “Improving productivity and the quality of coffee harvests is a triple win – benefiting our customers, the environment and paving the way to higher incomes for farmers,” said Nespresso CEO Jean-Marc Duvoisin. One important element of the project is the AAA Academy, which provides farmers like John with two years of training on climate-smart agricultural techniques that increase yields and improve resilience in the face of changing weather patterns. Participants learn how to produce and use compost, for example, to improve the soil’s moisture retention – an important step as rainfall becomes more erratic. The program’s focus is on practices that are not only environmentally sustainable, but also profitable and inexpensive to adopt, making it likelier that farmers will use them over the long run. In Ethiopia, farmers learn climate-smart farming practices through the AAA Academy. 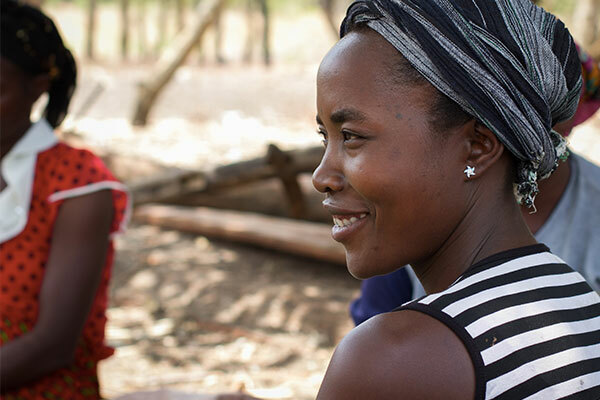 To date, 29,481 farmers, 39 percent of whom are women, have received training. A recent survey in Kenya found that 55 percent of the farmers used at least half of the featured practices by the time they completed the AAA Academy – compared to zero percent before the program began. In 2016, with support from the World Bank’s BioCarbon Fund and the International Finance Corporation, the project launched a new initiative, in which coffee growers will plant a combined total of 1 million trees on their farms by the year 2020. These trees will help to reduce atmospheric carbon and protect against soil erosion, and the shade they provide to coffee plants will improve the crop’s quality. Sustainability and quality improvements are not only important at the farm level, however. AAA mill advisors have helped the managers and employees of 145 local, low-tech processing facilities called wet mills to improve their business and processing skills, enhance the quality of the coffee they produce, and meet Nespresso’s social and environmental sustainability standards. These improvements are good for workers and the environment, but they are also good for business, reducing operating expenses and allowing the wet mills to sell their high-quality coffee at higher prices to Nespresso. The changes are having a real impact for farmers like John. Between 2013 and 2015, his yields and income grew fivefold, allowing him to pay the school fees for his three children. He now serves as representative on his cooperative’s board, as well. “I would like to see farmers looking like me, able to pay for all their needs with coffee proceeds,” he said. The Velasquez family were able to bring electricity to their community thanks to livestock profits. Santos Velasquez, his wife Irma, and their three adult children all work together tending a herd of 39 cows on their large farm in Nueva Guinea, Nicaragua. 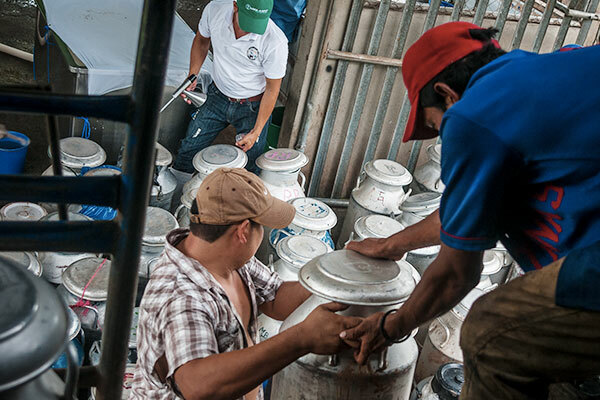 Like most of Nicaragua’s 135,000 livestock farmers, the Velasquez family used to follow a low-cost model of farming, which typically results in low productivity and low quality of milk. 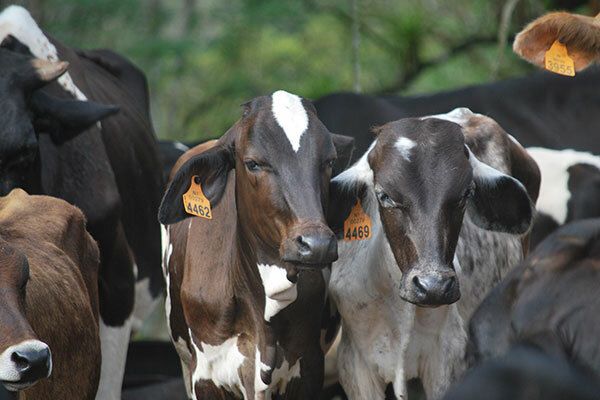 Despite Nicaragua having the largest livestock industry in Central America, with 5 million head of cattle, most dairy farmers are poor, and are reluctant to invest in technologies and inputs that can boost productivity. 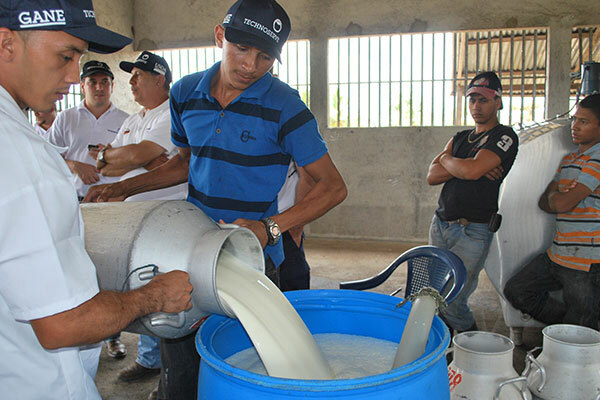 TechnoServe’s Ganadería Empresarial (GANE) project, set out to improve the productivity and quality of the dairy and beef produced by small farmers across Nicaragua. Between 2012 and 2016, the U.S. Department of Agriculture- funded project trained more than 5,500 farmers who increased their production by 28 percent. Farmers adopted the practices they learned at high rates, thanks to TechnoServe’s adult learning methodology and follow-up technical assistance on the farm. Farmer training is critical, but it is only one component in strengthening a value chain. GANE helped farmers access financing for inputs, such as mineral salts and improved pasture seed, and infrastructure, such as watering systems and electric fences, which would improve their cows health and productivity. Working with two financial institutions, the project designed special loan products with the most favorable interest rates and repayment terms available to smallholder farmers, to facilitate these smart investments. The Velasquez family obtained a $5,000 loan to construct a roof over their cattle’s corral and purchase fencing material to create paddocks for improved grazing. Their cows’ milk yield increased from 3.5 liters per cow per day before joining the project to 5.5 liters after. Thanks to the improved pastures Santos planted and fenced, the herd is healthier and reproducing at a higher rate – which means more cows are producing milk at any given time. GANE also worked to improve market access by helping farmers achieve scale through producer organizations (POs). GANE worked with 25 POs to help them improve milk collection and processing, develop market linkages and build management capacity. TechnoServe’s team helped these POs negotiate 38 new sales agreements, generating $4.6 million in new revenue. 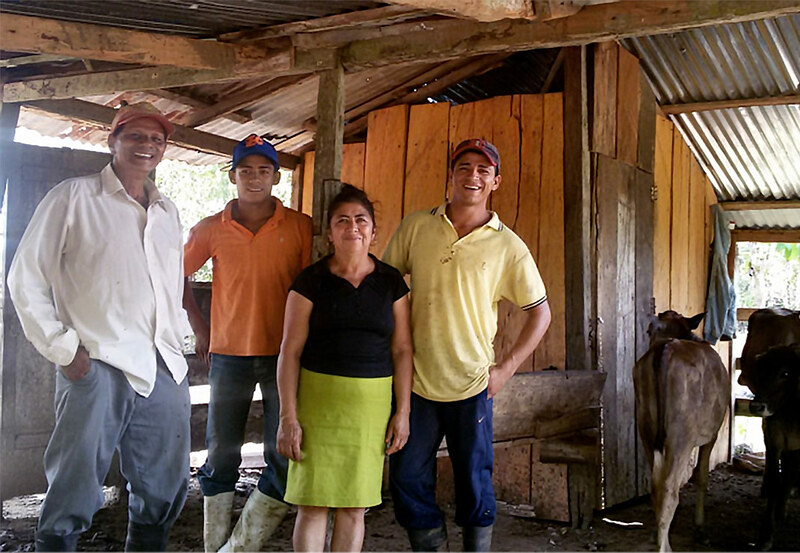 As a result of increasing milk yields and cow reproductive rates while improving their market linkages, the Velasquez family is now earning an additional $1,250 per year. The new income allowed the family to pool resources with neighboring farmers to bring electricity to their community. 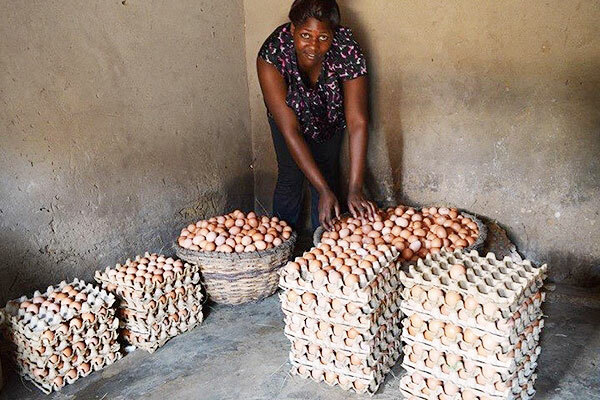 Bike peddler Horsin Kalikeka delivers fresh eggs to small retailers in Zambia. Horsin Kalikeka weaves through the streets of Ndola, Zambia, delivering eggs using a specially outfitted bicycle. 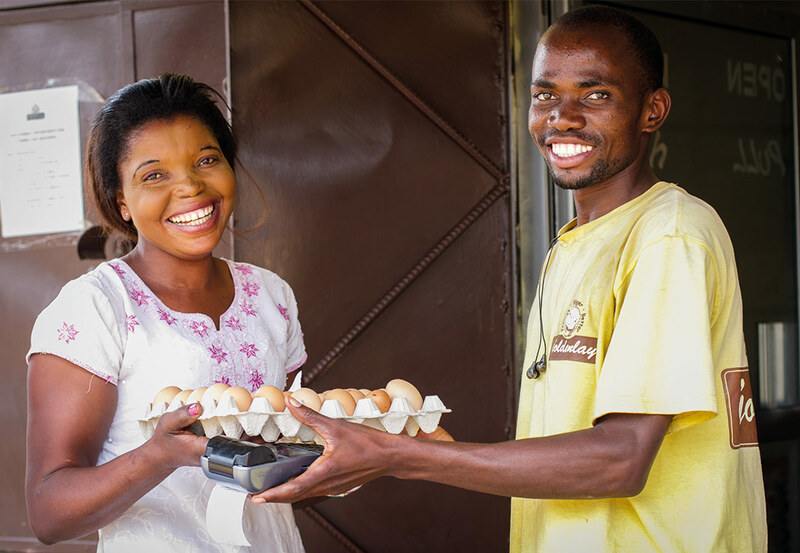 On a typical day, he sells 2,400 eggs to about a hundred local market vendors (ntembas) as a new bike peddler for Goldenlay, Zambia’s largest egg producer and distributor. This allows the 26-year-old to earn between $120 and $150 a month, which is twice the local minimum wage. Goldenlay piloted this new distribution model in 2016 with support from TechnoServe’s Technical Assistance Facility, or TAF. The cost-effective innovation increases Goldenlay’s sales by bypassing the middlemen – passing savings down to small-scale retailers while increasing poor consumers’ access to protein-rich food. Though seemingly simple, this innovation was a result of in-depth research and detailed planning by the Technical Assistance Facility. Implemented by TechnoServe since 2011, TAF has a mandate to increase economic and physical access to food for low-income Africans by providing technical assistance to the portfolio companies of the African Agriculture Fund (AAF). The AAF is a $246 million private equity fund that was created to address food security challenges in Africa through investment in agriculture and food processing. Running on a budget of $11 million over seven years, TAF provides strategic support to companies in AAF’s portfolio to improve their operations or facilitate changes in their operating models by engaging other actors in the value chain. TAF’s work in nine countries across Africa demonstrates the synergistic impact of technical assistance coupled with financial investment. For Goldenlay, the dual approach helped the company expand production from 250,000 to 450,000 eggs per day. In just six months, the bicycle distribution pilot created 50 new jobs, benefited over 1,800 ntemba owners and exceeded Goldenlay’s sales target tenfold. On the opposite end of the value chain, TAF is working with Goldenlay to transform its soya supply for chicken feed through an outgrower model that is helping hundreds of local smallholder farmers increase their incomes. Each TAF intervention is designed to ensure meaningful impact on food security and a win-win for the business and beneficiaries. As a company like Goldenlay embeds a new and profitable business model, it is likely to scale the innovation, and other market players may replicate it, ultimately expanding the model’s reach to more poor producers, consumers and employees. By the end of 2016, TAF has worked with 10 AAF portfolio companies on 42 impactful interventions, enabling the agribusinesses to reach more than 16,000 low-income beneficiaries. Seeking to contribute to broader learning on how technical assistance can boost investment in the agriculture sector to combat food insecurity, TAF released a report documenting learning from its first five years of operations. Sati Bai and her husband Ganesh Mehra grow wheat and other crops on their half hectare of land in Madhya Pradesh state in central India. Yet scant rainfall over the past few years coupled with poor soil health have meant low harvests, making it difficult for the couple to produce and sell enough to provide for basic needs. 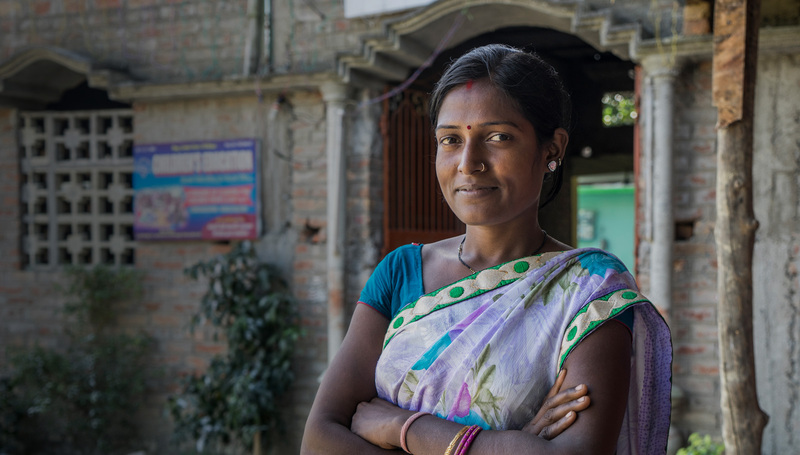 Across rural India, TechnoServe is working to improve livelihoods for farming families like Sati and Ganesh’s while increasing their long-term resilience to climate change. In the face of increasingly erratic droughts and heatwaves in the state of Madhya Pradesh, TechnoServe is working with the Kellogg Company to train smallholders in climate-smart agricultural practices that can increase productivity, reduce costs and improve long-term growing conditions for wheat, maize, soy and other crops. The project promotes a package of sustainable practices, including planting trees around fields to prevent soil erosion, sequester carbon and provide shade. Farmers also learn to prepare organic fertilizers and pest repellents using locally available natural materials. The low cost of these inputs, compared to their chemical counterparts, helps to ensure long-term adoption by farmers, increasing productivity and bringing them financial benefits, while also improving soil and environmental conditions. TechnoServe and Kellogg are working with farming families in Madhya Pradesh, India, to increase their economic and environmental resilience. Combined with the other good agricultural practices taught through the project, these measures are making a tangible difference for families. Using sustainable techniques, Sati and Ganesh were able to harvest and sell 50 percent more wheat during the last growing season, easing their family’s financial strain. In 2016, the project worked with over 1,300 farmers across Madhya Pradesh, helping them generate more than $1 million in increased revenues. 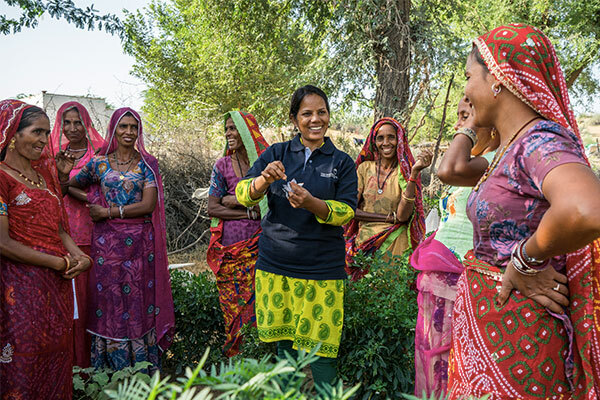 TechnoServe is similarly training farmers in climate-smart practices in the arid region of Rajasthan, India. Farmers here have long cultivated guar, a drought-resistant legume native to India which is used to create thickening agents in food and other products. 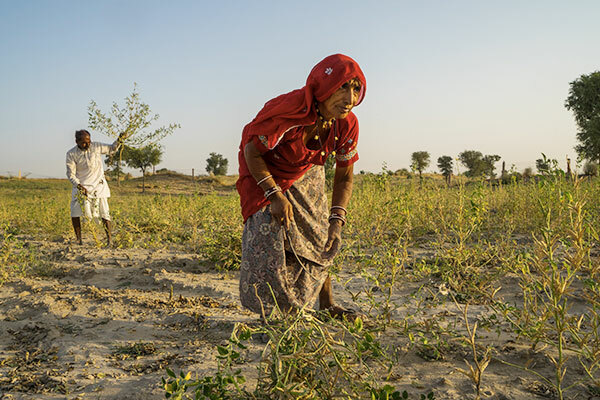 TechnoServe and Solvay partnered through the Sustainable Guar Initiative (SGI) in Bikaner District, Rajasthan, to demonstrate that guar can be sustainably grown at scale. Launched in May 2015, the two-year project has trained more than 2,500 farmers in climate-smart practices, such as preparing organic inputs using cow dung and urine, and facilitated the planting of more than 12,000 trees on elevated land features to help conserve both soil and water. Overall, the integrated intervention helped guar farmers increase their incomes by an average 27 percent, in an area where many families, seeing little rain, had lost hope of earning a profit. In addition to promoting sustainable farming practices for higher incomes, both projects are strengthening household food security by training women to establish organic kitchen gardens. Though women in rural India are heavily involved in agricultural production, they are largely excluded from decision-making around farming and finances. 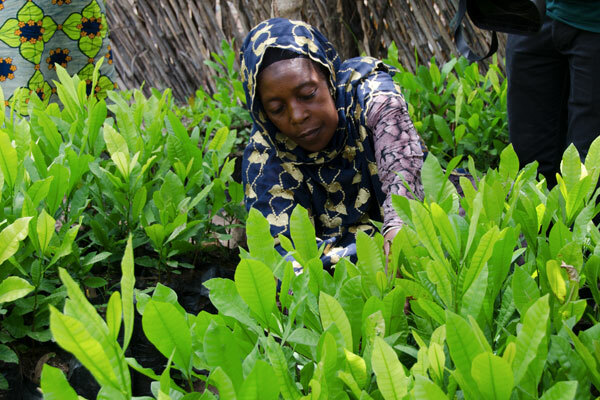 Kitchen gardens allow women to provide fresh and nutritious vegetables for their families while saving money on food. They can also earn additional income by selling surplus vegetables at market, giving the women a more active role in their family’s financial decision-making. 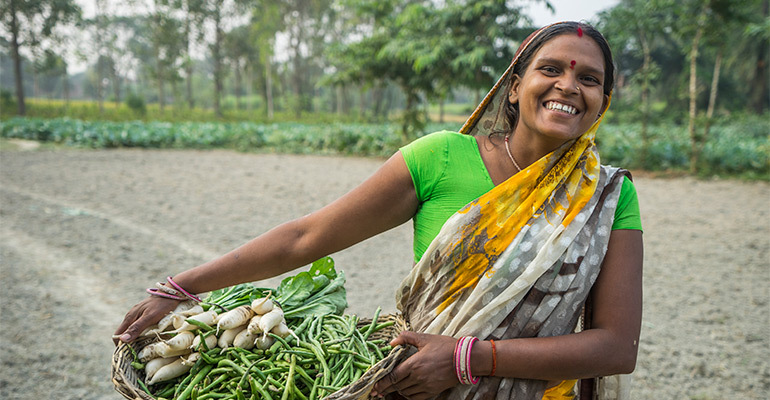 TechnoServe’s emphasis on promoting the inclusion of women in agriculture, and the use of effective, efficient and environmentally friendly practices, is helping farming families in India sustainably enhance food and economic security despite unpredictable weather. Youth participate in STRYDE training in Tanzania. As a professionally trained chef, 26-year-old Celeste Fonseca had no problem handling the heat in the kitchen, but navigating the business world was a trial by fire. 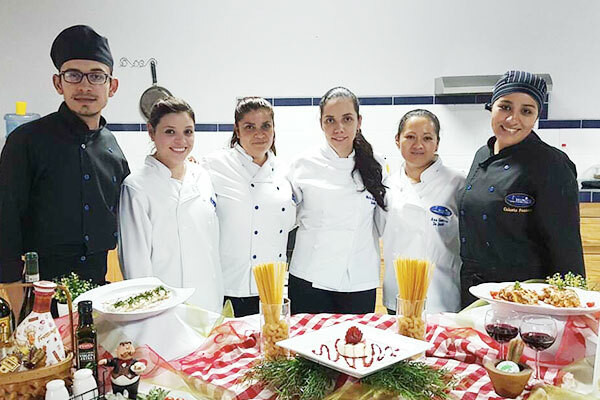 After Celeste opened Brunoise, a culinary academy in her home city of Guatemala City, Guatemala, she struggled to organize the business’s messy finances or to calculate profits. Realizing that she lacked the tools she needed to make her business succeed, she applied for Crece Tu Empresa (Spanish for "Grow Your Business"). A business accelerator implemented by TechnoServe in partnership with the Citi Foundation, Crece seeks to develop enterprises run by youth in urban El Salvador and Guatemala. While Crece works with urban entrepreneurs who have already launched their businesses, it takes a page from a TechnoServe youth program operating in a different context. 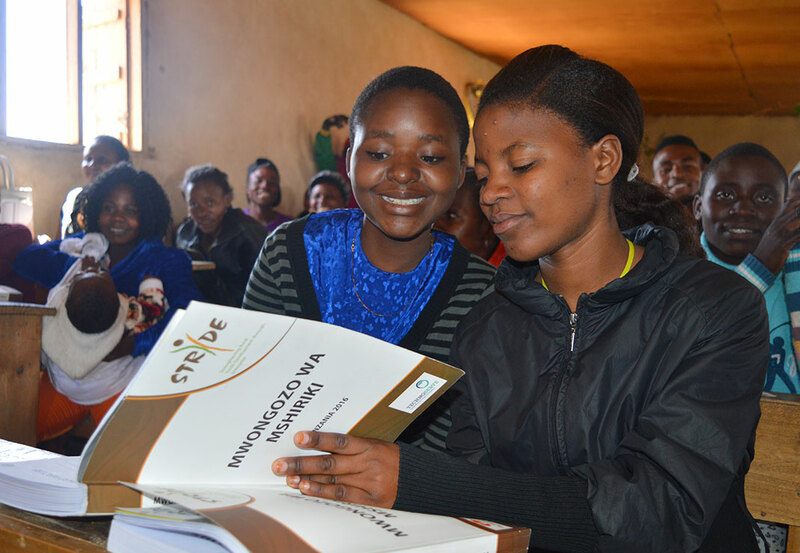 Strengthening Rural Youth Development through Enterprise, or STRYDE, is our flagship youth entrepreneurship and workforce development program, developed for rural youth in East Africa who have scarce opportunities. The curriculum is delivered in seven modules over three months, followed by nine months of aftercare during which the graduates receive additional support to start a business, find a job or apply their new business skills on the family farm. A critical part of STRYDE’s efficacy is its focus personal effectiveness – building self-awareness, setting goals and developing communication skills. As the Economist noted in an article featuring TechnoServe’s work with youth in Rwanda, “the paucity for business [in Africa] is not due to a shortage of opportunities to make money. In fact, given a small nudge new entrepreneurs seem able to make it hand over fist.” Tharcienne Ahunkuye, a 26-year-old Rwandan entrepreneur, had been unemployed for several years before joining STRYDE. 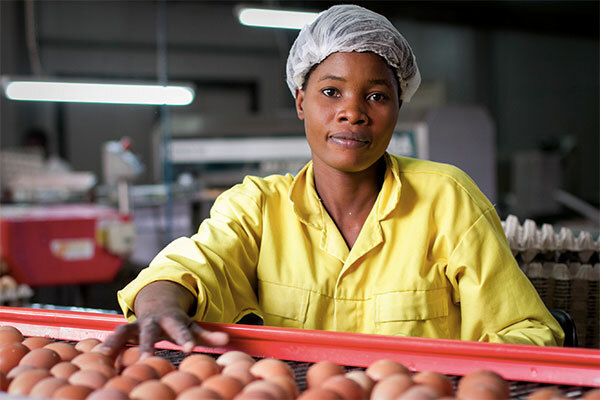 With training from TechnoServe, she started her own egg farm, and is now selling eggs in neighboring Democratic Republic of the Congo. She explains that what she needed was just a structure around which to outline her goals and apply her ambition to, and the confidence to carry it out. “I knew it could be a good business because I had seen others doing it, but I didn’t know where to start,” she said. Now in its second phase, STRYDE seeks to provide skills training to 63,000 youth by 2019. TechnoServe is training partner organizations, such as vocational institutions and prisons, to deliver the training to 40 percent of participants, ensuring the model creates ongoing impact and reaches more rural youth long after the project’s end. In 2016, STRYDE helped nearly 4,600 youth in Kenya, Rwanda, Uganda and Tanzania generate over $1.75 million in financial benefits. In its second phase, STRYDE is focused on ensuring sustainable impact by strengthening the capacity of local partner institutions – such as vocational training institutes, government youth centers and prisons – to deliver the training to East African youth. Building on the success and learning from STRYDE, Crece Tu Empresa is helping youth like Celeste succeed in urban Central America. Results from the first cohort of Crece Tu Empresa report an average sales increase of 92 percent. TechnoServe has also adapted the model to help young entrepreneurs in mining communities in South America to create businesses both within and beyond mining supply chains. Through her work with CRECE staff, Celeste has cut her spending by 20 percent, brought on two new chefs, and logged 275 percent growth in sales. 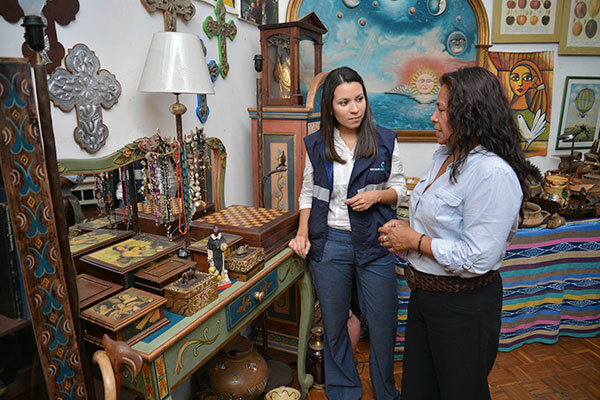 She wants to open more branches of her academy throughout Guatemala, providing training and employment for other enterprising young people. Chikondi Matiki conducts quality assurance at Valid Nutrition – a manufacturer of ready-to-use nutritious foods in Malawi. 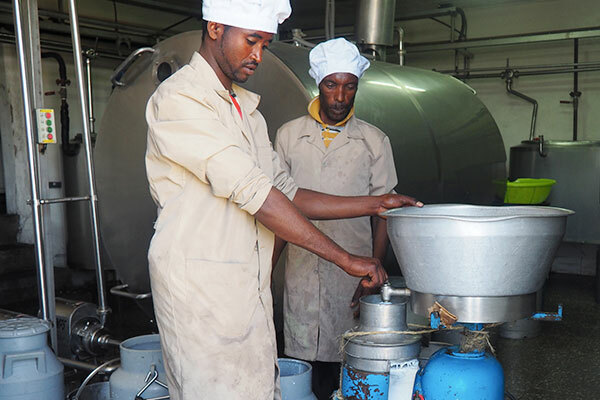 Food processing is a significant driver of local economies, creating supplier linkages for millions of small-scale farmers and helping elevate rural incomes across East Africa, where over 124 million people lack access to food. However, small and growing local processors often face difficulties producing high-quality products that meet food safety standards and regulatory requirements. Solutions for African Food Enterprises (SAFE), a TechnoServe program in partnership with U.S. Agency for International Development (USAID) and Partners in Food Solutions (PFS), aims to increase the competitiveness of the African food processing sector and expand the availability of affordable and nutritious foods using two primary intervention strategies: customized technical assistance provided to individual processors, and sector-wide trainings (SWTs) provided to food processors and other sector stakeholders. 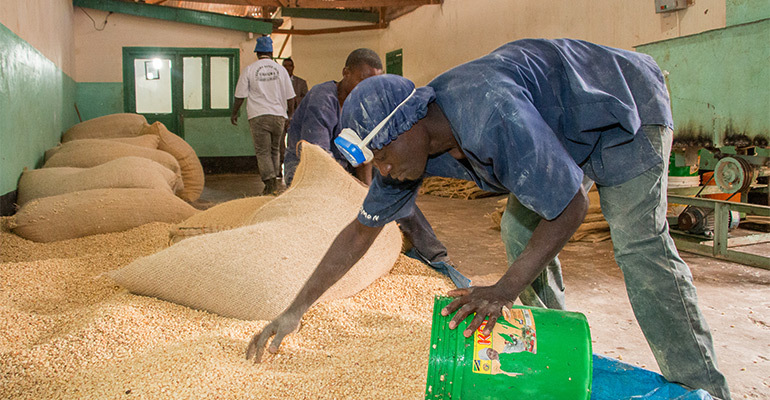 Since 2012, SAFE has delivered customized technical assistance to 124 small and growing African food processors by facilitating the transfer of technology and knowledge between these companies and skilled volunteer experts from PFS’s corporate partners (General Mills, Cargill, Royal DSM, Bühler, the Hershey Company and Ardent Mills). In turn, these processors have created 382 new jobs and sold more than 55,800 metric tons of improved nutritious foods. The second component, sector-wide trainings, allows SAFE to deliver knowledge to more food processors, effecting broader change across the industry. SWTs are one- to two-day events on targeted knowledge gaps in the food processing industry, such as fortification, business strategy, marketing and quality control management. 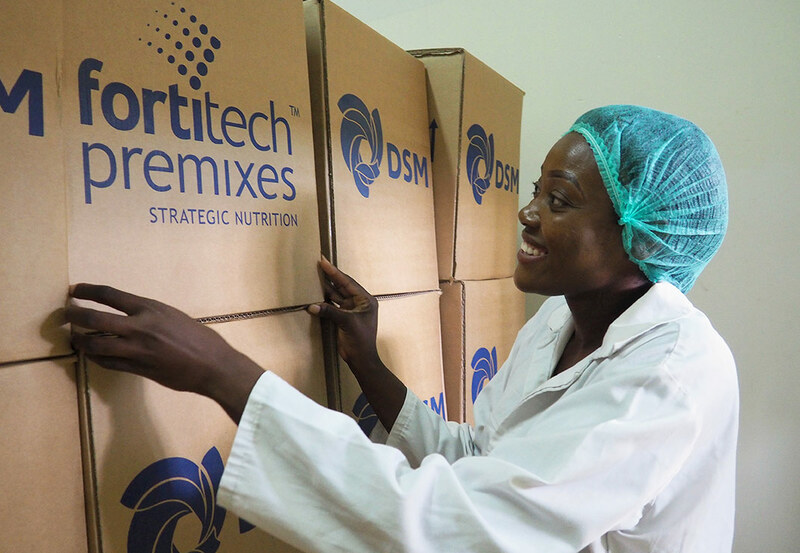 Led by TechnoServe staff and other technical experts, SWTs attract a wide range of enterprises – from farmer cooperatives to large-scale companies – as well as stakeholders from the wider food processing ecosystem, such as input suppliers and government officials. The events provide opportunities for hands-on training, knowledge transfer and networking. Seeking to ensure long-term impact, the SAFE team in Kenya developed a set of learning manuals in 2016 based on content delivered through SWTs. The manuals – on new product development, fortification and business strategy – are geared toward learning institutions and other practitioner audiences. TechnoServe made two manuals available online as e-books to encourage wide distribution. To date, SAFE teams have conducted 50 trainings in business strategy and technical areas, including good manufacturing practices, food fortification, processing, aflatoxin control and milling technology. These trainings have reached more than 1,350 individuals from 1,028 different processors. SAFE's impact extends beyond the businesses, to benefit millions of employees, farmers and consumers. The food processors receiving customized assistance through the program provide market opportunities for more than 973,000 smallholder farmers, who support an estimated 5 million family members. Emiliano Bello proudly grows cilantro, onions and other produce in Xaltepec, Mexico. As Emiliano Bello gazes out over his fields – neat rows bursting with green spinach and cilantro – it is hard to believe that this land once seemed to offer no future for his family. In Mexico, smallholder farmers often suffer from stagnating productivity due to insufficient access to the information, technology and markets their farms need to thrive. When one season’s crop failed, Emiliano was forced to make a treacherous journey to seek income across the border in the United States in order to provide for his children. Unhealthy market systems affect companies as well as farming families. When only large farming operations have the resources to provide quality produce, buyers can become reliant on just a few growers, sacrificing freshness and sustainability in their sourcing. TechnoServe is working with a host of private sector partners to tackle these challenges, strengthening companies’ supply chains as well as the local economies where they work. In Mexico, TechnoServe and the Walmart Mexico Foundation, teamed up to form the Mexico Smallholder Farmer Initiative, creating better economic opportunities for smallholder farmers by providing the tools they need to increase their incomes, not only as farmers, but as businesspeople. When Emiliano joined the initiative in 2012, he learned best agricultural practices that helped transform the land he had previously been forced to abandon into a lush farm. He learned practices to improve the quality and quantity of his crops, and to meet strict standards that allow him to sell to new markets, including large-scale retailers. 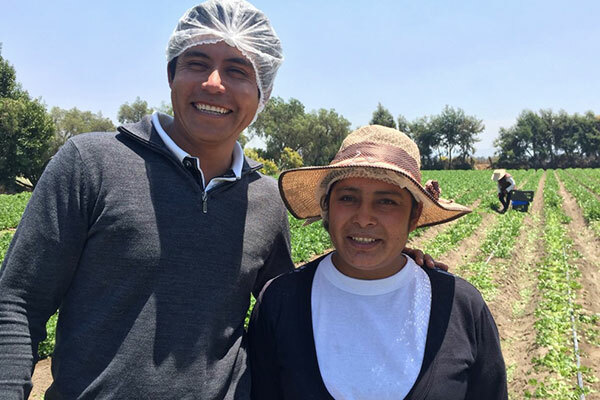 Together with the other members of his farmer organization, Emiliano learned to negotiate with buyers, ensuring a high price for their high-quality produce. 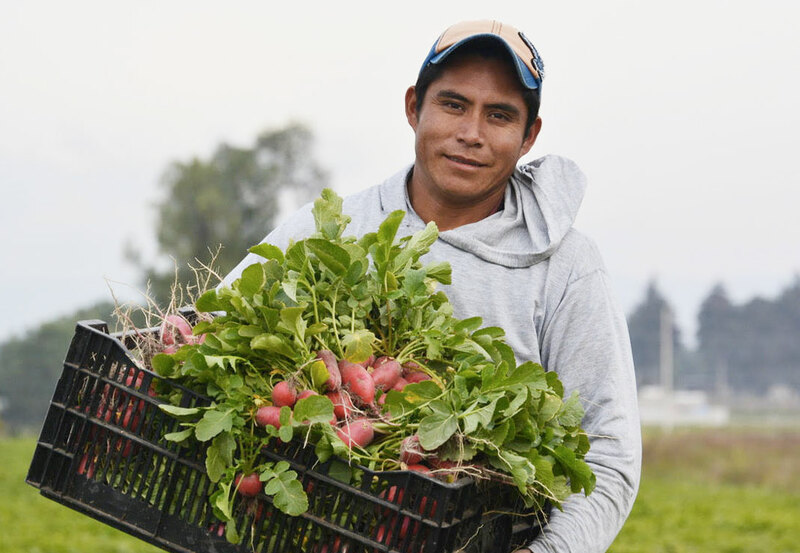 Between 2011 and 2016, the partnership between TechnoServe and the Walmart Mexico Foundation trained 5,500 smallholder farmers and generated $4 million in sales of fruits and vegetables. The initiative’s impact illustrates shared value in action. While farmers gain direct market access for dependable income, buyers gain a diversified supplier base that provides better quality and freshness. In December 2016, the partners expanded the initiative to train an additional 5,000 farmers on best practices over the next two years, to help them increase incomes by 20 percent. 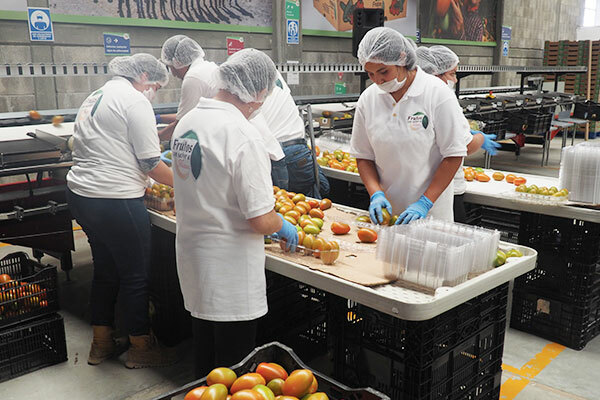 The project aims to generate $18.7 million in sales, further growing an inclusive, sustainable produce market in Mexico. 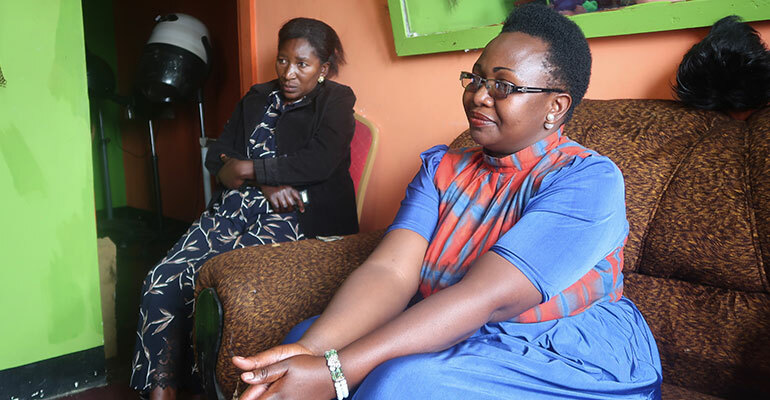 Now that she is saving money, Tegemea Kalinga can invest in her small retail business. 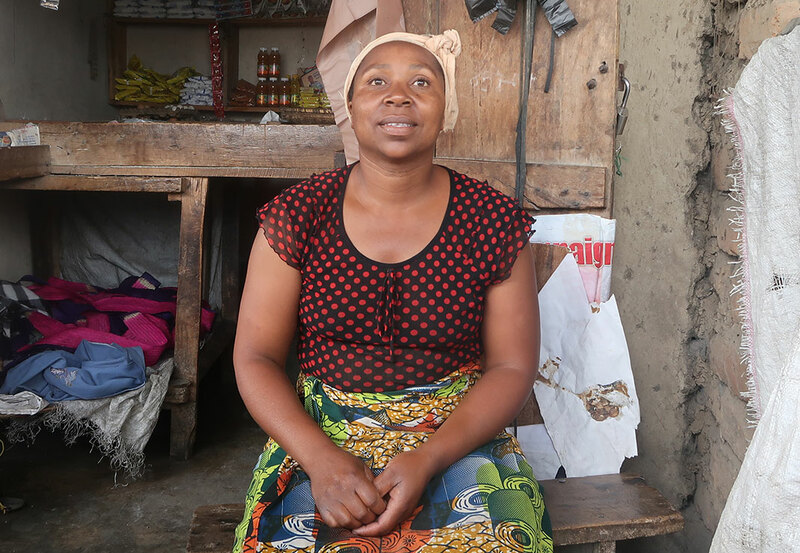 Tegemea Kalinga runs a small stand in her hometown of Mwampongo, Tanzania, where she sells fruits, rice and household goods. For nearly a decade, she has struggled with maintaining working capital to keep the business running. In 2016, Tegemea joined Business Women Connect (BWC), a TechnoServe project funded by the ExxonMobil Foundation that aims to increase the incomes of female micro-entrepreneurs through business skills training and access to mobile savings. “Saving can actually help you to manage your money so that you don’t need to go and borrow each time,” Tegemea said after learning to use M-Pawa, a mobile savings and loan product. She also received training on record-keeping, customer service and business planning, setting her shop on a path toward profitability. Around the world, women entrepreneurs face more challenges than their male counterparts in accessing networks, capital and knowledge, and they often face other cultural deterrents. 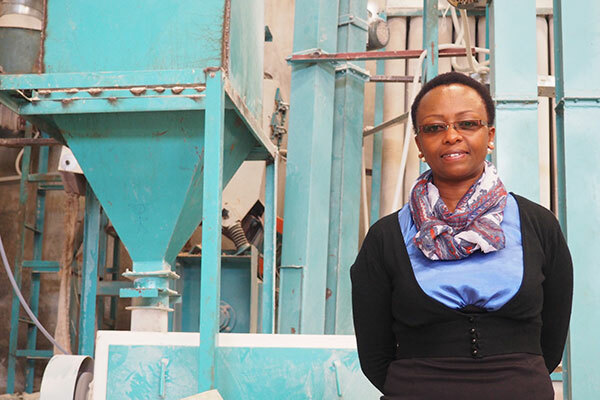 TechnoServe is committed to providing women entrepreneurs like Tegemea with the tools they need to succeed, whether they are running microenterprises or developing small and growing businesses. In 2016, more than 6,380 women entrepreneurs and women-led businesses benefited financially from TechnoServe’s global entrepreneurship work. Some of our entrepreneurship programs, including BWC, are tailored specifically to meet the needs, constraints and opportunities of women – in this case, training approximately 6,000 Tanzanian women micro-entrepreneurs. BWC’s business counselors are all women entrepreneurs recruited from the local community. Seeing their success gives participant women confidence and motivation to set their own goals and apply new business practices they learn through BWC training. In order to test the program’s assumptions, BWC was designed to include a rigorous evaluation. The Center for Global Development, in collaboration with the World Bank’s Africa Gender Innovation Lab, is running a randomized control trial to measure the impact of both the introduction to mobile savings and the business training. Other TechnoServe interventions promote inclusive business growth by working with both male and female entrepreneurs in a gender-responsive manner. 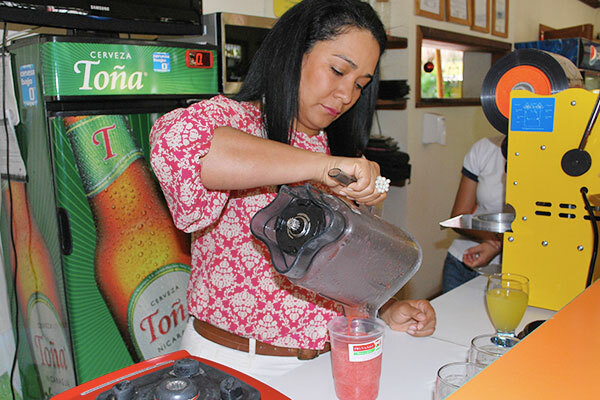 Impulsa Tu Empresa (ITE), a business accelerator program implemented by TechnoServe across Central America since 2012, has helped more than 600 women-led enterprises (or 57 percent of all beneficiaries) boost their revenues. In 2016, the program formally integrated gender equity training into its curriculum. TechnoServe teamed up with researchers from Emory University to analyze detailed data collected from hundreds of ITE-supported businesses. Among its insights, the report found that pairing women advisors with women entrepreneurs produced higher revenue growth than other mentor-mentee combinations. 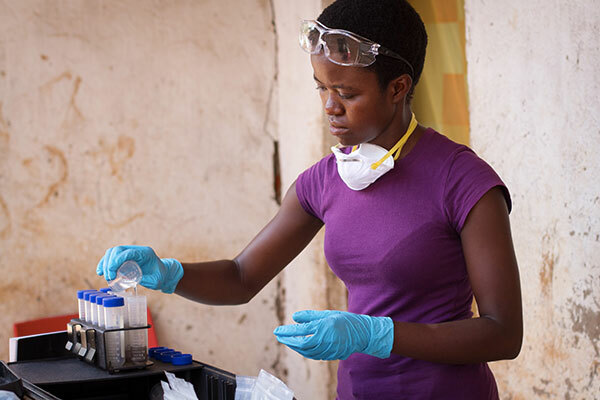 By collecting qualitative and quantitative data from our entrepreneurship programs around the world, TechnoServe can ensure that these interventions are effective in empowering women economically and driving gender equity. A nonprofit organization operating in 29 countries, TechnoServe is a leader in harnessing the power of the private sector to help people lift themselves out of poverty. By linking people to information, capital and markets, we have helped millions to create lasting prosperity for their families and communities. With nearly 50 years of proven results, TechnoServe believes in the power of private enterprise to transform lives. Members of TechnoServe's Board of Directors visited our projects in Guatemala in April 2016. TechnoServe is overseen by a talented group of 27 leaders in finance, business, academia and law. Our board ensures that the organization faithfully pursues its mission and has the resources and direction it needs to be successful. TechnoServe is able to maximize its impact in poor communities thanks to the generous support of individual donors, who gave more than 18,700 gifts in 2016. TechnoServe’s staff of more than 1,420 combines business expertise with local knowledge, relationships and context; 91 percent are from the country where they work. The TechnoServe Fellows Program (formerly the Volunteer Consultant Program) celebrated 20 years in 2016 and deployed its 1,000th volunteer in 2016. A total of 64 Fellows worked on projects in 20 countries in 2016. Learn more about the Fellows Program.